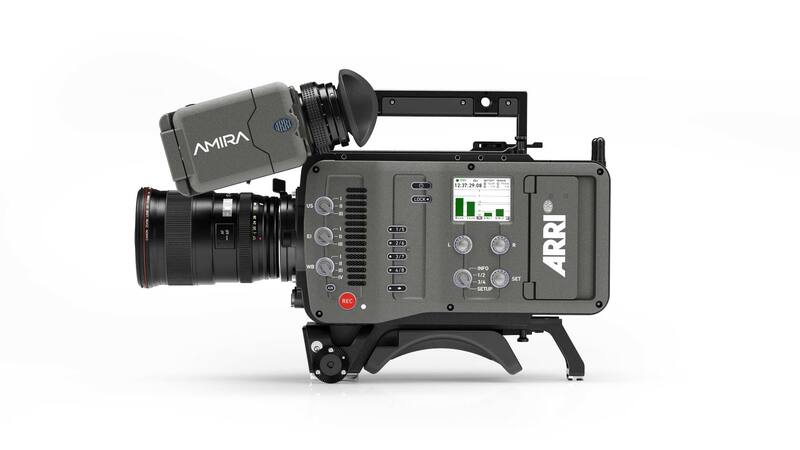 Scheduled for release in March 2015, SUP 2.o promises UHD recording with the purchase of a license at the ARRI License Shop (and camera sensor calibration at an ARRI service center for cameras purchased in 2014). It lets you record codecs up to ProRes 4444 in UHD 3840 x 2160 resolution onto the in-camera CFast 2.0 cards, up to 60 fps. There are options for in-camera de-noising, sharpening and detailing tools. Amira SUP 2.0 includes ProRes 3.2K recording (for compatibility with ALEXA cameras running ALEXA SUP 11.0); WiFi remote support; audio monitoring of individual channels; additional lock functions to prevent the accidental pressing of buttons or switches; frame rate adjustments while in pre-record mode; frame grabs from the live camera image; and more. This is scheduled for release in mid-2015. The main new feature is recording MPEG-2 422P@HL at 50 Mbit/s in an MXF wrapper. (This is an HD format.) This XDCAM-compatible MPEG-2 recording format is geared toward television production. It’s a frugal codec that doesn’t eat bandwidth, is widely accepted in broadcast production, and provides long recording times on the memory card. SUP 3.0 also will include a camera remote control interface for multi-camera live or scripted productions; Super 16 mm lens support and an intervalometer function for time-lapse. A new audio accessory will be released. It’s an extension on the back of the camera body with a slot for a wireless audio receiver.